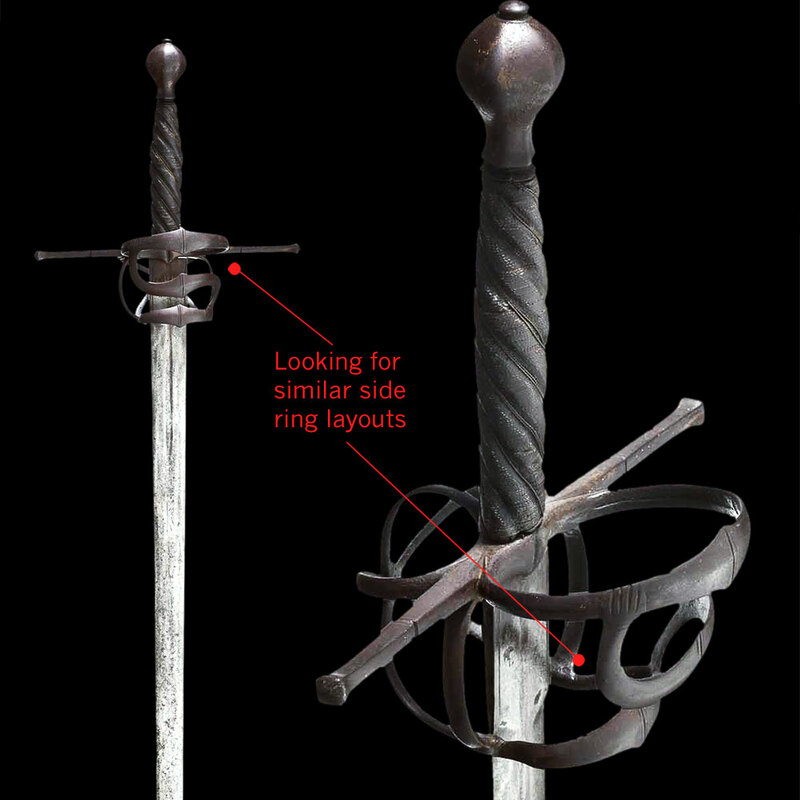 I found this hand and a half sword browsing the Longsword album on Facebook and was immediately struck by the design, as I've always been a fan of the German/Saxon styled flared quillons and - in this case - side rings. What interests me here is the crossover middle ring. That's a feature I haven't seen much of - particularly with this style. Does anyone else have similar hilts they can share with me for reference? I like that hilt style, too. I can't really tell what exactly you are pointing to... your graphic is non-specific and appears to point at two different areas of the hilt. It may contain something of interest. 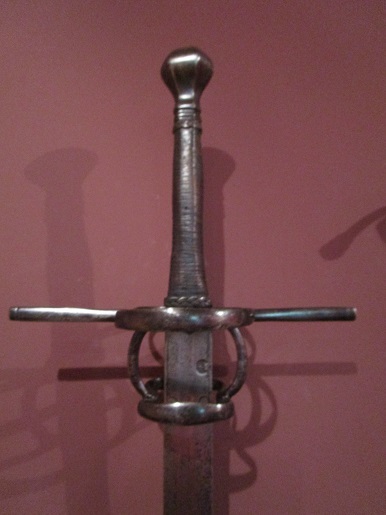 Here is a similar hilt, the blade is identical and the pommel is similar to.